Following up the groundbreaking “Last House on the Left” couldn’t have been an easy task for Craven. That film shocked the nation with its depressing view of humanity and the depravity of civilization. The film received mixed reviews but instant cult status. 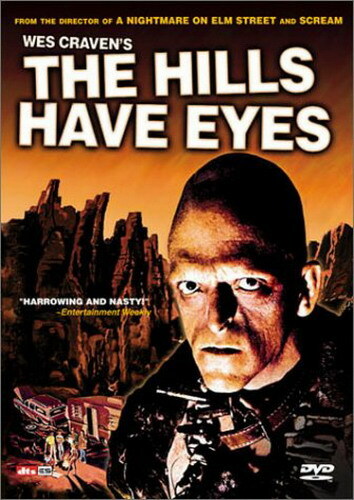 Craven’s next film would be the cannibalistic family horror film “The Hills Have Eyes”. If America thought “Left” was shocking, they hadn’t seen anything yet. The film begins with an old man named Fred (John Steadman), packing his truck and drinking alcohol, as though worried. He frequently glances at the arid landscape around him, and makes continual comments about “them” and what “they” would do to him if they ever found out he was escaping. Suddenly, a ragged and somewhat feral teenage girl turns up. Annoyed, Fred addresses her as Ruby (Janus Blythe). She offers to trade what she has in her bag for food and the old man refuses. They move into a small cabin and Fred scolds her for what she and “they” have done. Ruby says that her family ambushed a nearby airfield because they were hungry and no one passes by their home anymore. She pleads with Fred to take her with him, but he mocks her and says she could never live with normal people. He tells Ruby that, if “the pack”, in particular someone named Jupiter, knows what she is doing, she could be in danger. He warns her of the danger she is in if Jupiter ever knew, and she retorts that her “Pa” would do the same to Fred if he knew he was getting away. A noise distracts them and Ruby hides. The Carter family are traveling on vacation. Parents Bob and Ethel (Russ Grieve and Virginia Vincent) are driving the family car accompanied by their teenage children Bobby (Robert Houston), and Brenda (Susan Lanier), and eldest daughter Lynne (Dee Wallace), along with Lynne’s husband Doug (Martin Speer) and their baby daughter Katy (Brenda Marinoff). They stop at Fred’s Oasis for fuel and to allow themselves and the family’s dogs, Beauty and Beast, to stretch. Fred tells them to be sure and stay on the main road. Later, they skid off a desert road and crash their station wagon (due to what is revealed to be a booby-trap). Bob leaves Bobby a pistol and heads back to Fred’s Oasis on foot to get help. Fred’s son and his son’s family of deranged cannibals dwell in the barren wilderness through which the Carters are traveling. They are commanded by Papa Jupiter (James Whitworth), the patriarch of the clan. He was born a monster and killed his mother, Fred’s wife, at childbirth. As a child he was vicious and brutal, killing all the livestock on his father’s farm, then eventually murdering his sister. Fred eventually reached a breaking point, attacking his son with a tire iron and leaving him in the wilderness to die. The young Jupiter survived, and began living with a depraved, alcoholic prostitute known as Mama. Together they had three sons, the vicious Mars (Lance Gordon), the thuggish Pluto (Michael Berryman), and the mentally retarded Mercury (Pete Locke) and their abused daughter Ruby. They survive in the desert by stealing from and cannibalizing all who cross their path. “The Hills Have Eyes” has a setup so simple that you know from the beginning something awful is about to happen. One by one they are stalked and killed by the strange redneck family. However, throughout the movie Craven keeps you wondering which family is really the more civilized and humane (e.g. by getting revenge and killing the cannibal family, is this family really any better than they are?) 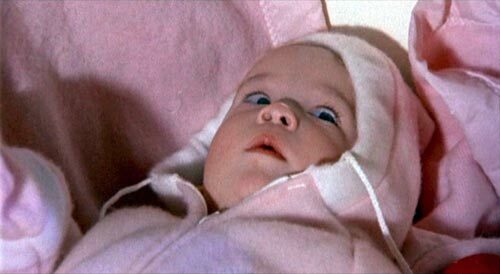 All this leads up to a kind of disturbing and an ending sequence is different to the usual cliche endings you mostly get in modern horror flicks today. All in all, a very strange horror flick that attempts to be different and is even able to show a bit of humor (“Baby fat! Fat juicy!). This film truly gets underneath your skin and pushes more buttons than any film today would dream of. For that reason alone, it is worth checking out. There is a lot of early, raw brilliance here.